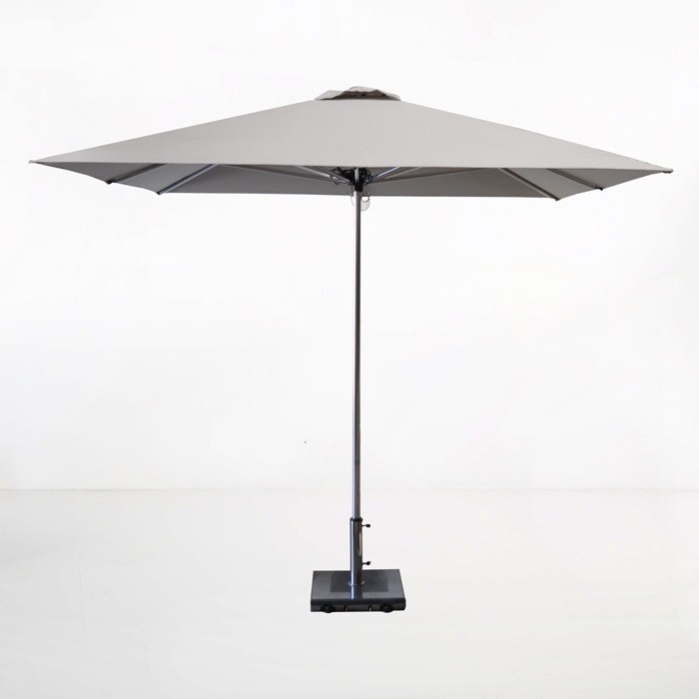 The Veradero Patio Umbrella in Grey is your choice for a large square umbrella that is modern, simple and chic. 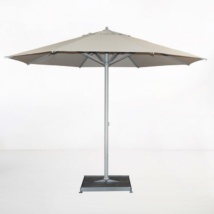 Our most popular patio umbrella is contemporary and light, measuring 8 ft square, with a durable grey Sunbrella® canopy. Veradero is synonymous with versatility; whether you’re choosing this umbrella for a commercial space or for your home, it is the perfect option for creating a shady and elegant space to relax! 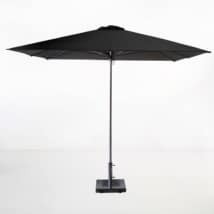 Exceptional patio umbrella; the Veradero umbrella – versatile, beautiful medium canopy umbrella perfect for your outdoor area. Perhaps you have a bistro or café that requires a ton of tables outdoors with options for shade or to be out in the open air. 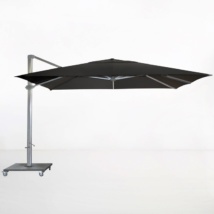 Simply place each square umbrella on a Rimini Base and you will be able to wheel your umbrellas around easily! Check out our amazing range of restaurant furniture, go for the Blok range of Raw Concrete for a unique and modern look, or keep it classic with a Square Pedestal Table and a couple of Prego Chairs! Regardless of what you pick, be satisfied in the knowledge you’ve chosen an easy to use umbrella with the Veradero! It has an easy light pulley system and an Aluminum frame. Aluminum and Sunbrella® are all weather materials, the Aluminum is powder coated for optimum outdoor use, while the Sunbrella® fabric is fade and stain resistant, is nearly impossible to tear, and is UV treated for extra protection from the sun’s strong rays.